384th Bomb Group veteran John DeFrancesco is a WWII rock star. He has been the subject of several magazine and newspaper articles and is now set to appear on Italian television. Both of John’s parents were from Italy. 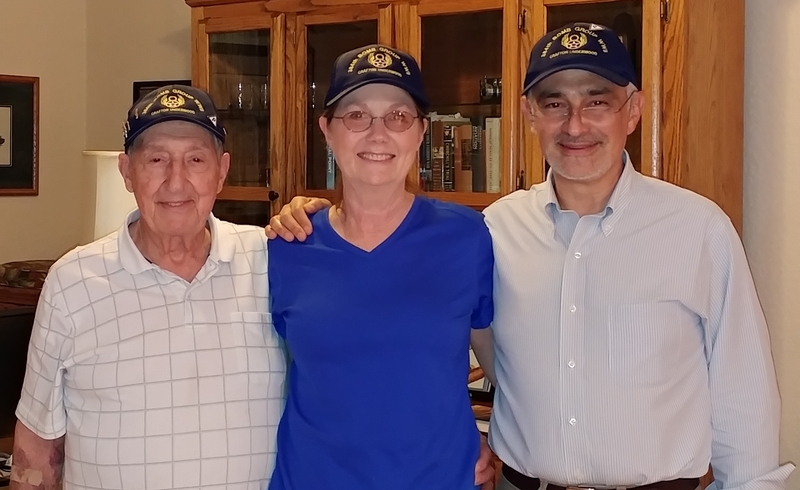 John’s father immigrated with his family when he was fourteen years old and served in the American Army in WWI, earning his American citizenship. John’s mother was also born in Italy and immigrated with her family when she was very young. 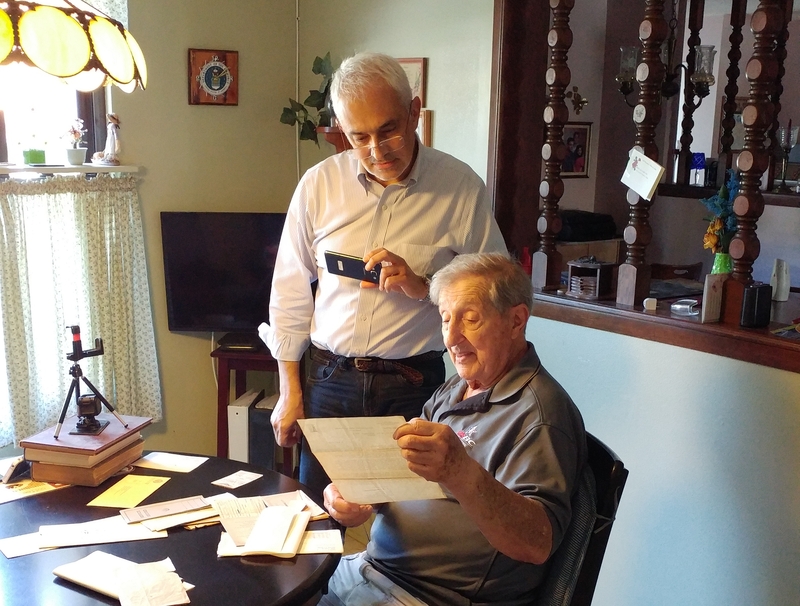 Italian Air Force veteran and journalist Vittorio Argento recently visited Florida to interview John about his role as an Italian-American B-17 pilot in WWII. Vittorio currently works with the Department of Safety and Security for Italy’s national radio/television public broadcasting company, RAI. He is a veteran journalist who has worked in television and daily newspapers and was previously Deputy Managing Director for RAI Radio News. In 2016, Vittorio served as the Prix Italia’s (an international Italian television, radio-broadcasting and website award program) Secretary General. 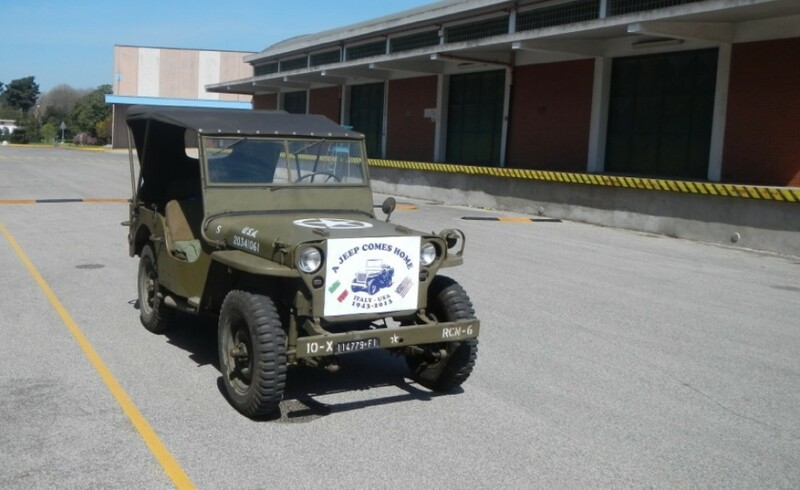 Vittorio has a personal interest in WWII history and has restored two WWII jeeps. You can read about Vittorio’s adventure to bring a 1943 Willys back to its Ohio factory from Italy here. 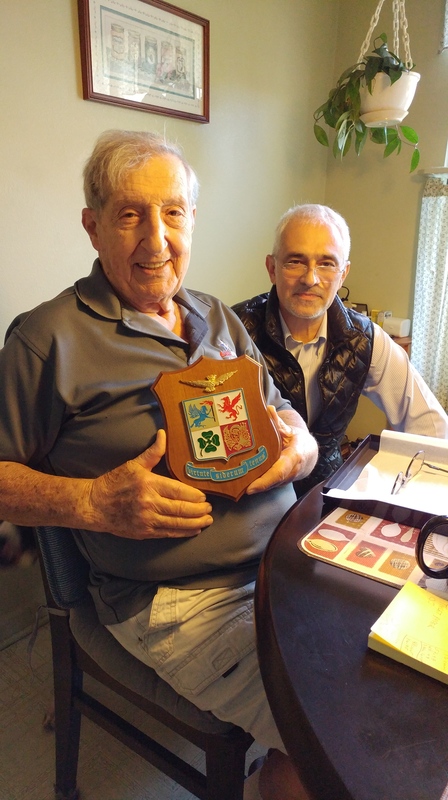 At John’s interview, Vittorio presented him with a beautiful plaque of the Italian Air Force. “Virtute Siderum Tenus” translates to “With Valor to the Stars”. As a result of his interview, John will be the subject of two television programs in Italy and an article in the Italian Air Force magazine. I enjoyed Vittorio’s visit with us and he has sparked an interest in my husband and me to visit Italy. My passport is ready, my phone is loaded with Google Translate for Italian, and, most importantly, I am shopping for travel shoes. By thearrowheadclub in 384th Bomb Group on November 8, 2017 .